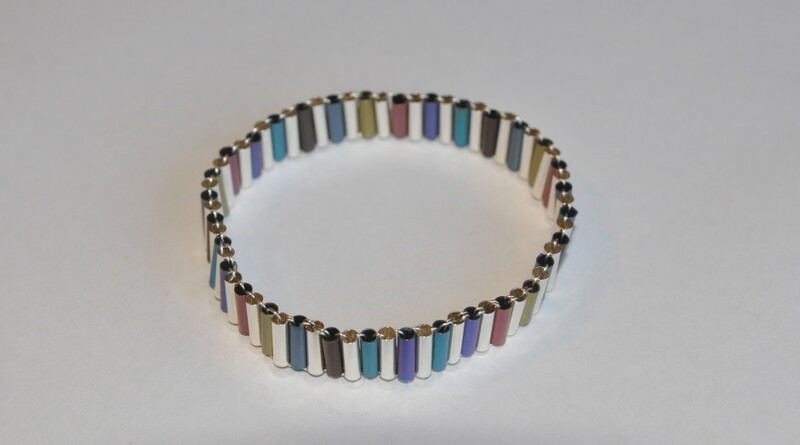 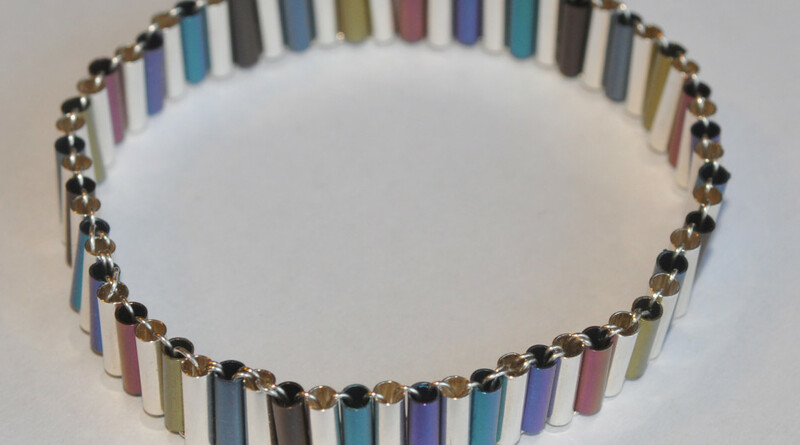 Niobium and Silver tubes – 1cm in height – interspaced and held together with a wire to create a beautiful, multi-coloured bangle. 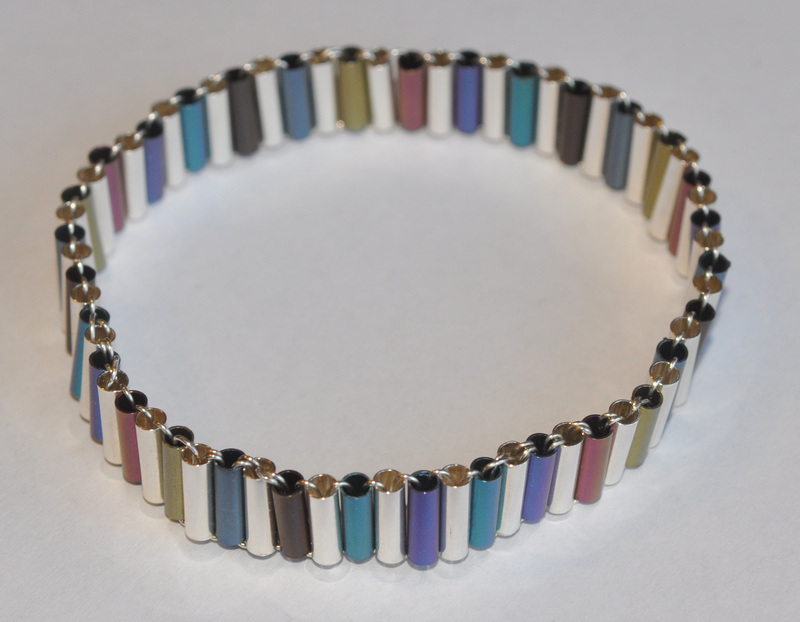 Please note this is a flexible but not expanding bangle. 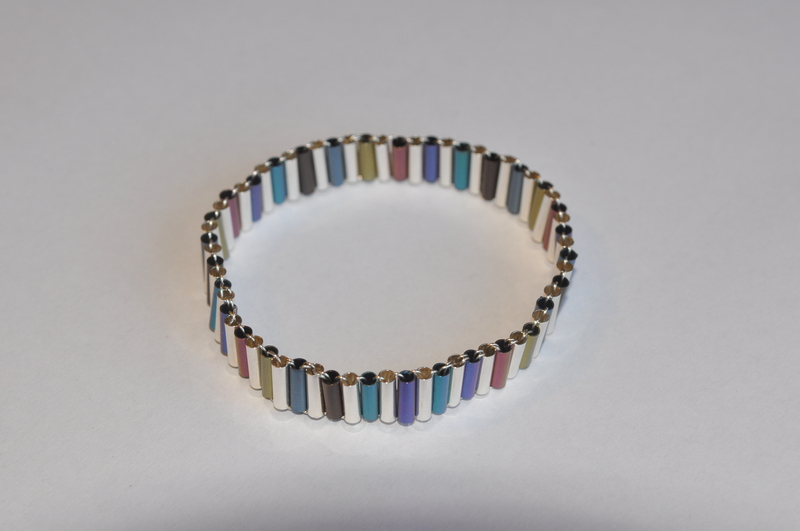 It is pushed over the hand to be worn.